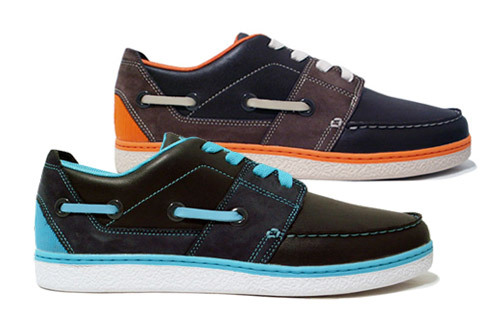 Lacoste’s Cabestan boat shoe model get a couple of updated color reworkings. 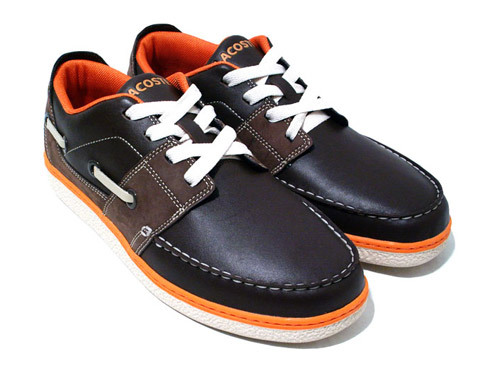 Featuring fine leather uppers, the shoes combine suede paneling with bright orange and bright blue accented color schemes. Having just hit atmos, the Cabestan is another classic design from the timeless French company Lacoste. Undefeated accessorizes their 2008 fall/winter collection with a black on black tonal backpack.